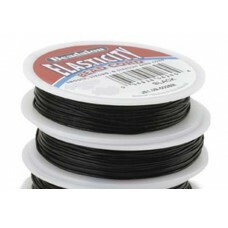 Find any type of elastic you need for your arts and crafts. 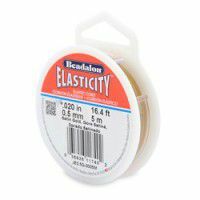 Whether it is clear elastic nylon for beading or satin gold elastic to hang ornaments we have what you need. 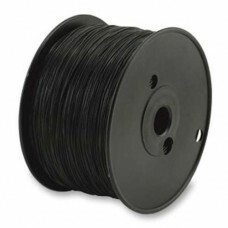 Our selection includes a number of different colors, lengths (up to 500m reels) and thicknesses (from 0.3mm to 1.0mm). 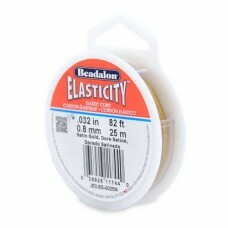 View the selection of elastic to find the right product for you. 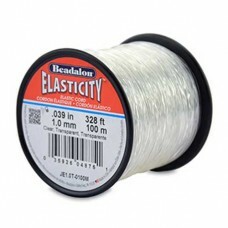 Elonga - A fabric like fibrous elastic, It has the great advantage of being able to be threaded with a regular needle as it easily fold upon itself. 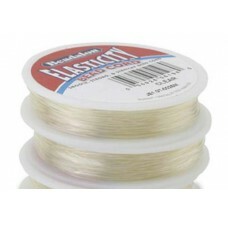 Available in a very thin 0.3mm diameter, it is great for delicate pieces. 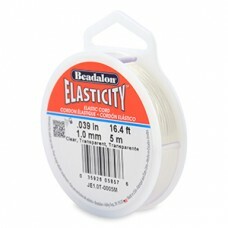 Elasticity - our most popular elastic - round in shape, it comes in a range of colours and diameters - and in bulk reels of 500m. 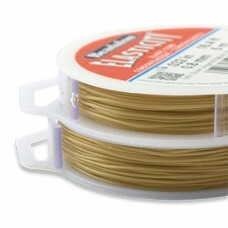 Griffin Stretch Magic - an extremely good and popular elastic that is difficult to fin in the UK. It comes in some lovely colours. A popular choice with Professionals. 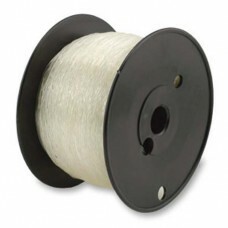 As these product is often used by Professional Jewellers, many are available in bulk trade/wholesale reel sizes - and if you cannot see the size or length you require, please contact us.